PREACHING SERMONS THAT WORK FROM ROMANS 5 is a sermon about understanding the enormity of the gift of god. This sermon is an expository sermon of Romans 5:15-21. This sermon poinnts out that a gift can b e very special and it can leave a life-time impression. 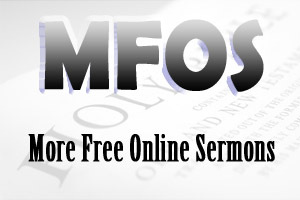 Preaching Sermons That Work From Romans 5 is an expository sermon from Romans 5:15-21. This sermon explores the different aspects of the enormity of gift of God. INTRODUCTION: Sometimes a gift can be very special and it can leave a life-time impression. At the age of six, Lora was diagnosed with insulin-dependent diabetes. Over the next 25 years, her diabetes degenerated into severe diabetic neuropathy-that is, her diabetes affected her nervous system. Eventually, she was placed on dialysis waiting for a transplant. On April 22, 1996, Lora received the call that lead to a kidney and pancreas transplant. For Lora, the gift of a kidney and pancreas meant another change at life. Without them she would have died. She commented, “I will never forget the gift that was given to me, and the giver of that gift.” In many ways, she understood the enormity of the gift because she knew the cost to the donor and his family. Also, she was experiencing a quality of life that the gift had given her. Likewise the gift of God, which is eternal life through Jesus Christ, is a very special gift, a gift that leaves a life-time impression. There are three insights into the enormity and wonder of the gift of God. Why is the gift of God undeserving? Well, when I read this passage in Romans, I find that we deserve anything but God’s mercy or God's grace. Why is the gift of God not like the trespress or the offence? Well, the offense deserves punishment but the gift of God is undeserving. Mal Trotter was a pathetic, glassy eyed drunk who took money that was for his daughter’s medicine and with it he bought booze and the girl died. So low was he on the pole of sin that he stole the shoes from her body while in a casket and with that money he bought more booze. One day while walking down the streets of Chicago with his head realing with alcohol he stumbled into a mission. He heard the sound of a hymn we all know very well. ”Amazing grace, how sweet the sound that saved a wretch like me.” Trotter stumbled down that aisle and said, “I’m that wretch,” and he gave his heart to Jesus Christ. And God forgave him and turned his life around. He didn’t deserve that, but that’s whats so special about the gift of God. We don’t deserve it, none of us deserve it, but God gave it anyway. But really that person is only half right because the Bible tells us that the two things we can be certain of are life and death. Look at verse 17, I want you to focus on two words. In fact, if you have a pen, I want you to circle them, death and life. Adam brought death...Jesus brings life. It doesn’t matter who you are: Christian, non-Christian, atheist, agnostic, whatever! One thing we all agree on and that is that death reigns. And verse 17 tells us that we all have Adam to thank for that (by the one man’s offense death reigned through the one). Death reigns on this earth because of Adam’s sin, because of his first act of disobedience in the garden. Death is certain. It is inescapeable. It is inevitable but that’s only one part of the story because verse 17 also says that something else is certain. Eternal life in Jesus Christ (much more those who receive abundance of grace and of the gift of righteousness will reign in life through the One, Jesus Christ). On the one hand, death reigns; on the other hand, those who know Jesus Christ as Saviour and Lord reign in life right now. Why is the gift of God lifre changing? Look at verse 20, “Moreover the law entered that the offense might abound. But where sin abounded, grace abounded much more (or grace super-abounded). That’s why God could save someone like Mal Trotter because God’s grace super-abounded his sin and changed his life forever. In other words, we have new life in Christ. Mal Trotter’s life changed when he gave his life to Jesus Christ Why? Because grace reigns in Jesus Christ. God has given us a very special gift in His Son, Jesus Christ...a gift that is undeserving...a gift that is certain...a gift that is life changing. Will you accept God's Gift of Jesus Christ?